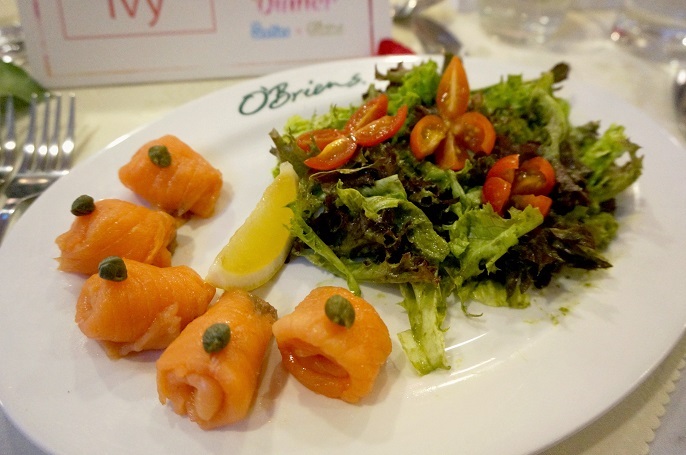 It was a graceful Saturday evening at the O'Briens The Curve. 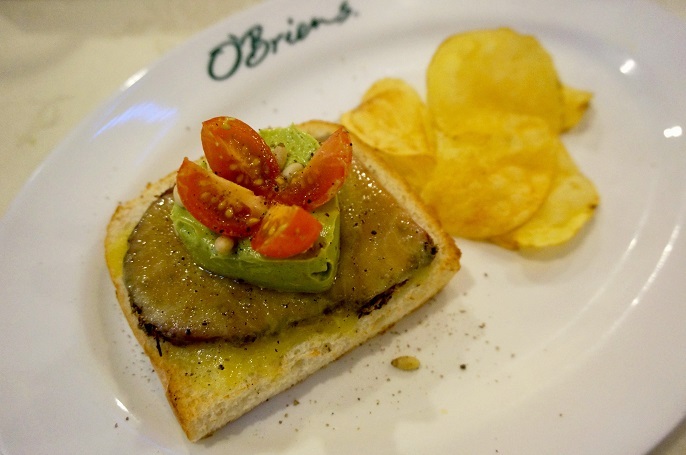 A small sandwich cafe at O'Briens converted it's original store concept into a romantic ambiance based on the theme of the special event, Valentine's Dinner. 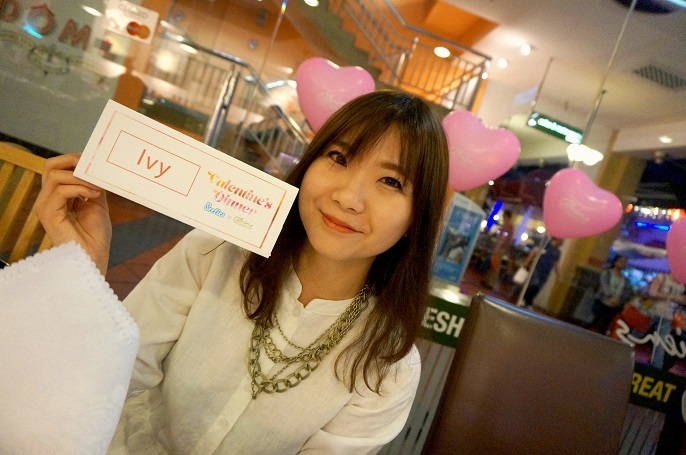 Inside the cafe, the walls was decorated with many heart-shape pink balloons, and the simple white tables were brighten up with candle lights and red roses. 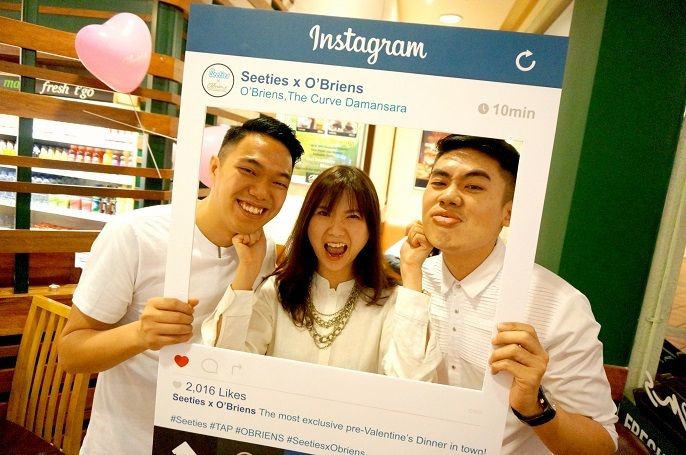 Thank you so much to TAP by Seeties and O'Briens Irish Sandwich Cafe for the special invitation to this romantic Valentine's dinner. 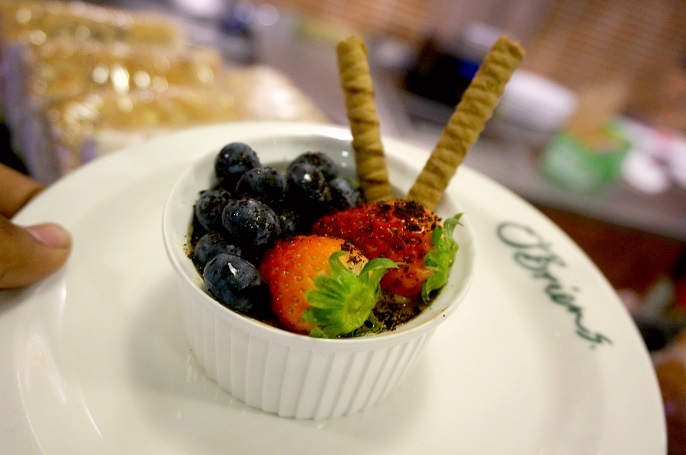 Indeed, it was such an unusual way to celebrate the Valentine's day in advance with a group of friends at a healthy sandwich cafe like this in this year. 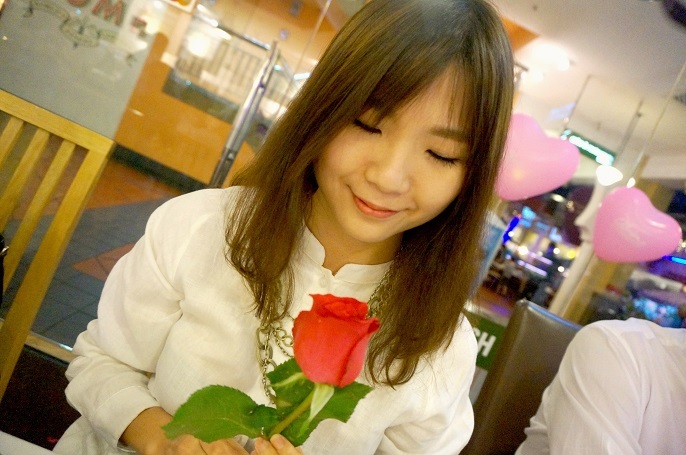 Nicole, from the Seeties group, is a sweet and courteous girl who always offers help whenever you need it. The 4 course dinner starts with the fresh starter of Smoked Salmon Salad in Pesto Dressing which consists 4 slices of smoked salmons, raw vegetables and a small piece of lemon. The creamy pesto dressing on the salad stimulate my appetizer so well before the main course served. 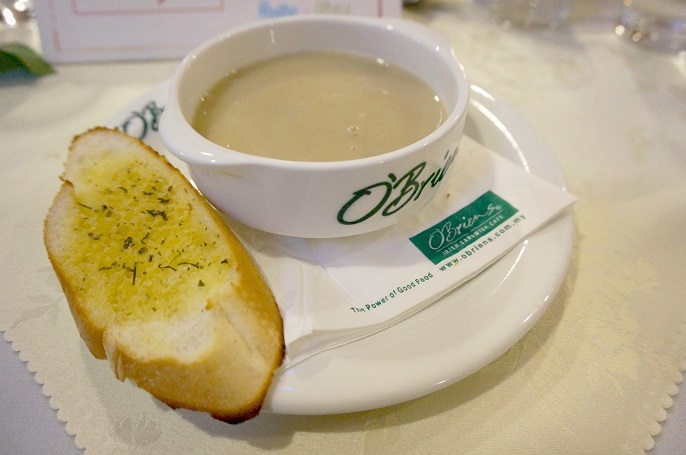 Mushroom Soup with a slice of Garlic Bread, is the only item that is available on the O'Briens everyday's menu. 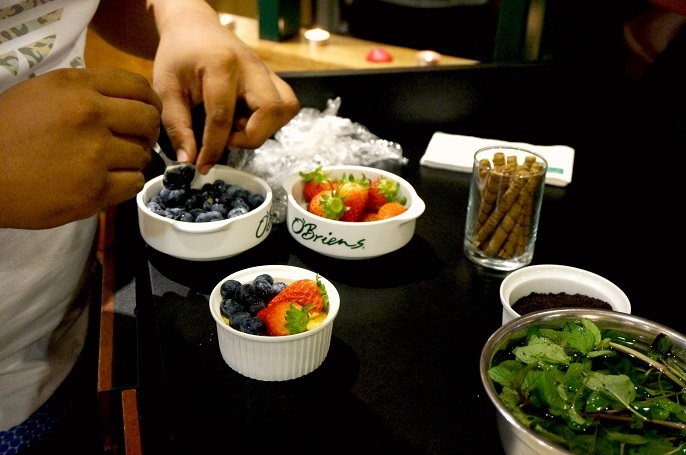 If you want to know how thick and richly the soup flavour is, give it a try on your next visit to O'Briens. I have the main course with the Beef Pastrami & Cheddar with Fresh Avocado in Rye Bread on that evening. It has a beautiful presentation with healthy ingredients of smoked beef, topping with pure avocado in a heart-shape and few pieces of apple tomatoes. 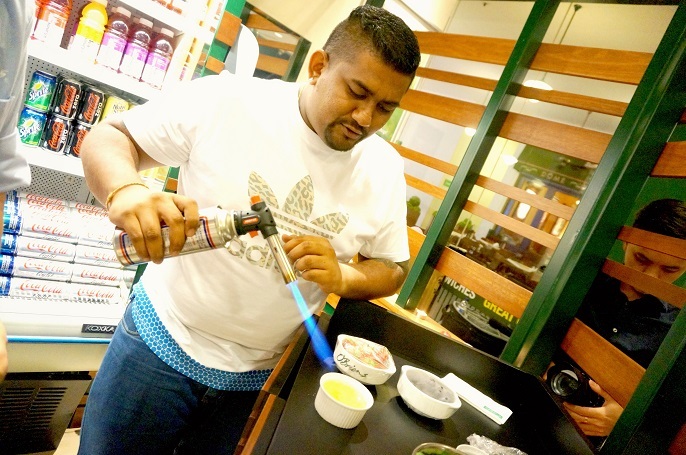 In order to make the dinner slightly less repetitive, the gentleman was assigned to prepare the dessert by torching the sugar on the Créme Brúlée as well as adding the toppings with different choices for the ladies. 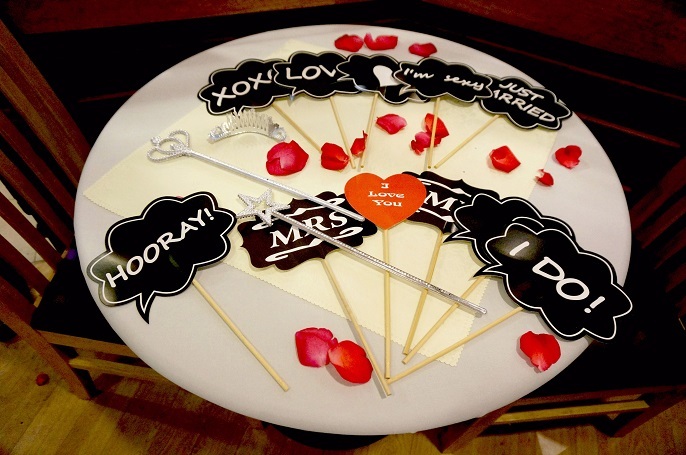 I felt so glad to have such a special way to celebrate the Valentine's day. 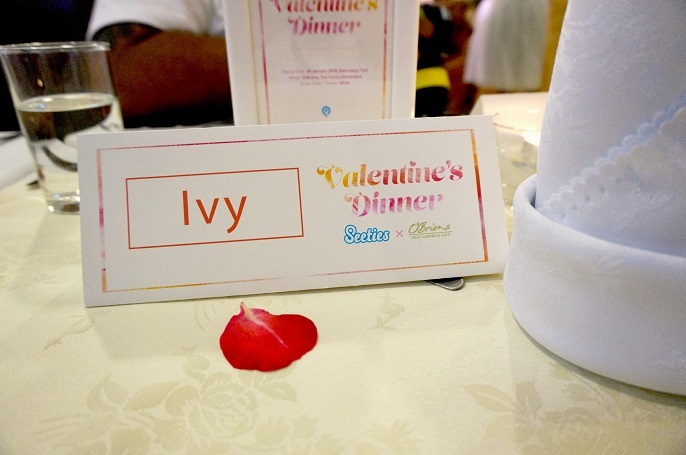 In fact, Valentine's Day is not about giving expensive flowers, jewelries or go to the expensive candle light dinners. Valentine's Day is about spending time with your loved ones doing something together, even a simple home-cooked meal will make your partners feel happy! Anyway, this Valentine's Day, I am wishing you and your loved ones a very Happy Valentine's Day, and for the singles, you will find your Mr and Ms Right very soon!